StonePly offered a lightweight Academy Black Granite panel consisting of natural stone laminated to an aluminum backing. The panels were installed six-times faster than traditional tile setting techniques by utilizing Z-clip extrusions attached to the back of the panels. 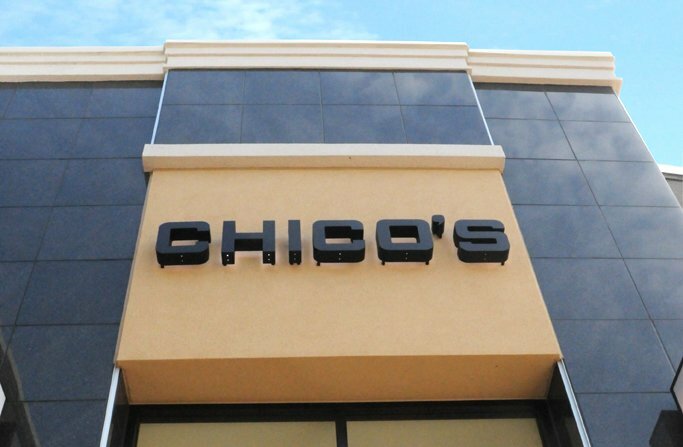 StonePly fabricated and furnished 24" × 24" polished Academy Black Granite tiles for the exterior of the Chico's and Olly Kids storefront. 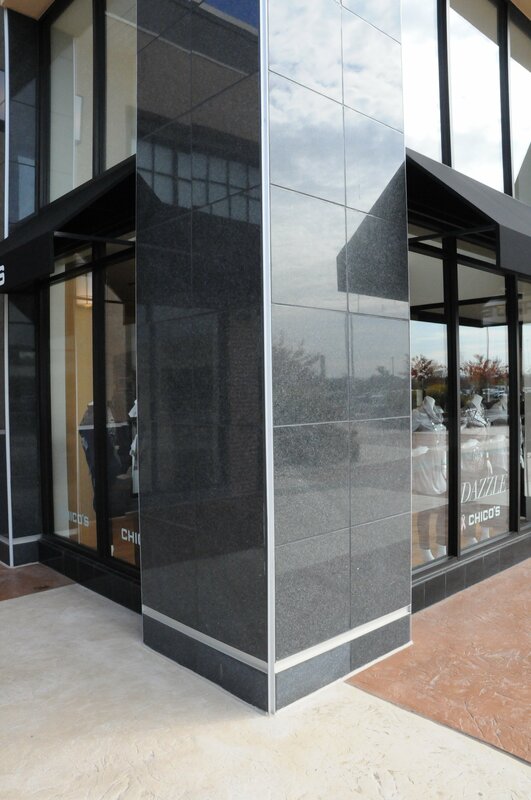 At the column covers for Ann Taylor Loft®, StonePly furnished the honed Academy Black Granite panels. Stone Contractor: IMC Construction, Inc.